This ready-to-use product efficiently controls solvent use and application. For use in the aviation, marine, automotive, general industrial and sporting goods industries where a smooth release of a molded part is needed. FK55 is recommended and optimized for advance composites and epoxy systems requiring an approximate cure time of 30 minutes at room temperature. 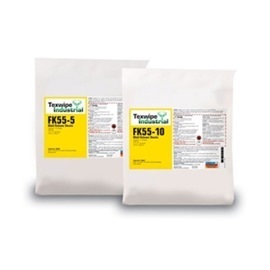 Texwipe’s FK55 Mold Release Sheets combine textile and chemical technology to create an effective point of use product for applying mold release agents. The 2-ply spunbond polypropylene sheets are pre-wetted with Henkel’s Frekote 55-NC. Each saturated sheet is packaged in a point-of-use pouch to ensure a consistent and accurate amount of solvent for uniform application to mold surfaces.